As we reach June, we find the birthstone, pearl. This elegant gemstone holds a great deal of symbolism as well as being a beautiful addition to a piece of jewellery. Pearls offer a unique connection with nature and the ocean as they are created by Molluscs in the oceans and freshwater. The pearl is often associated with marriage as it has come to symbolise purity and innocence, so is often worn by the bride. In history, pearls were thought to be the tears of the gods by the ancient Greeks, the tears of mythical creatures in ancient Japanese folktales and dewdrops which fell from the moon into the sea in Hindu folklore. This captivating gem is now a particularly feminine birthstone and can be used to create jewellery that emanates elegance and charm. 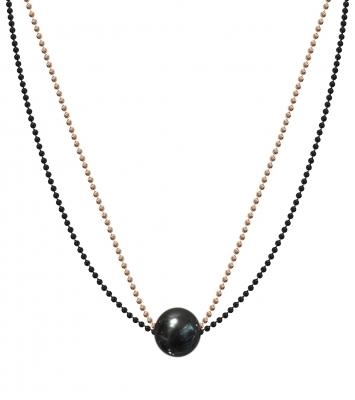 It can even be found in different colours, although naturally occurring black pearls are rare. However, at Banks Lyon, we have a number of pieces which feature the Tahitian pearl, a naturally occurring black pearl which is created by the black-lip pearl oyster. Due to its large size, it is able to produce larger than average pearls which boast a striking dark colour which can have tones of green, pink, blue, yellow and silver. 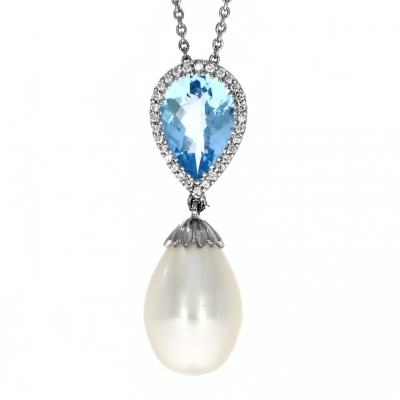 While the pearl is the birthstone for June, it is also often bought as a gift for brides to wear on their wedding day, making this an incredibly special and romantic gemstone. Pearl jewellery would surely make a touching gift for the bride born in June. You can browse our selection of beautiful pearl jewellery below or view it in person in our Lancaster and Kendal stores. This June birthstone jewellery can also be purchased on 0% finance for new and selected pieces above £500.